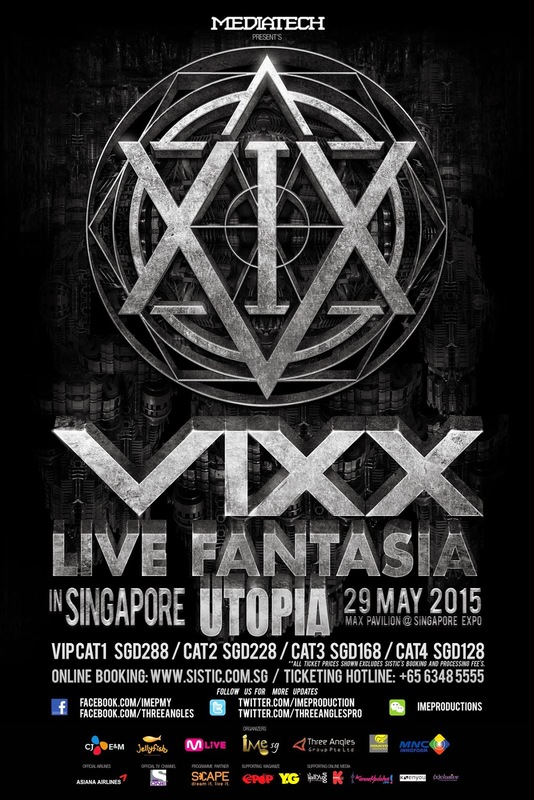 Fans of Kpop Group VIXX, this is the official announcement for their upcoming Live Fantasia Utopia in Singapore 2015 concert. Ticket Sales will commence on April 4, 2015. Cat 1 VIP tickets are only available for purchase via onsite sales at SCAPE (2 Orchard Link, Level 5) from 10am to 5pm and is sold on a first come first serve basis. Each person is limited to purchasing 4 tickets only. Cat 1 VIP ticket purchasers will be entitled to participate in a lucky draw to win an exclusive VIXX High Touch Pass and a complimentary VIXX concert tee. Details of the High Touch event will be posted on a later date. *All ticket holders will be entitled to a complimentary VIXX SG concert poster. 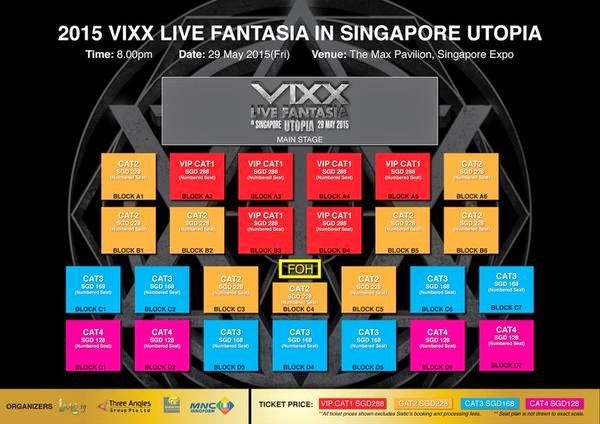 **Cat 1 VIP ticket holders will be entitled to a VIXX SG concert Tee. All other ticket categories can be purchased from all Sistic platforms (Online, Hotline and Outlets) from 3pm onwards.